Updated 22/05/17 with more video footage: A GoPro Karma drone crashed on Sunday, narrowly missing spectators, during a Major League Baseball game in the USA. 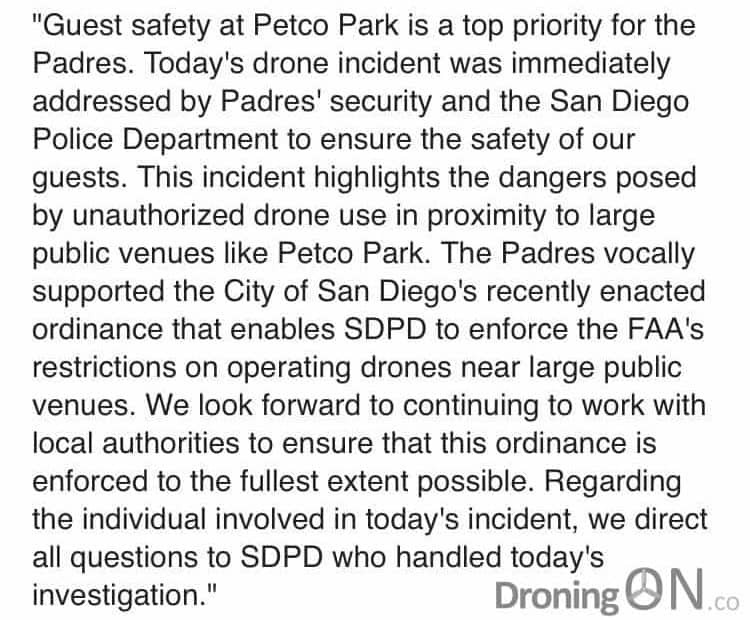 The incident occurred on Sunday at Petco Park during a game between the San Diego Padres and Arizona Diamondbacks. 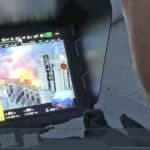 It is not clear yet whether the pilot or the drone was at fault for the impact which narrowly missed a spectator sat in the audience, but the lack of autonomous sensing and obstacle avoidance would not have helped in the GoPro Karma avoiding such a scenario. 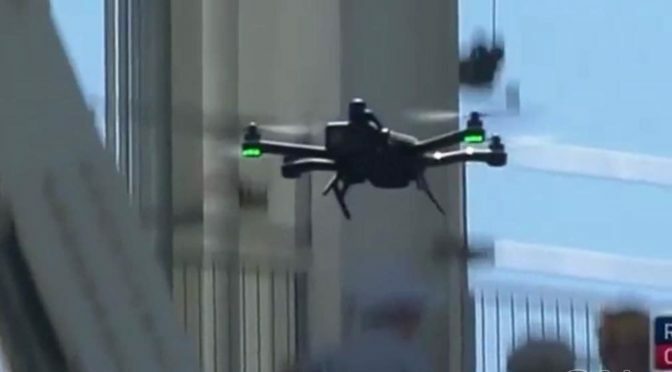 The drone is reported to have been flown illegally and without formal permission from the owners of the ground. The speed at which the drone crashed into seats would without question have caused serious injury if it had hit a person. 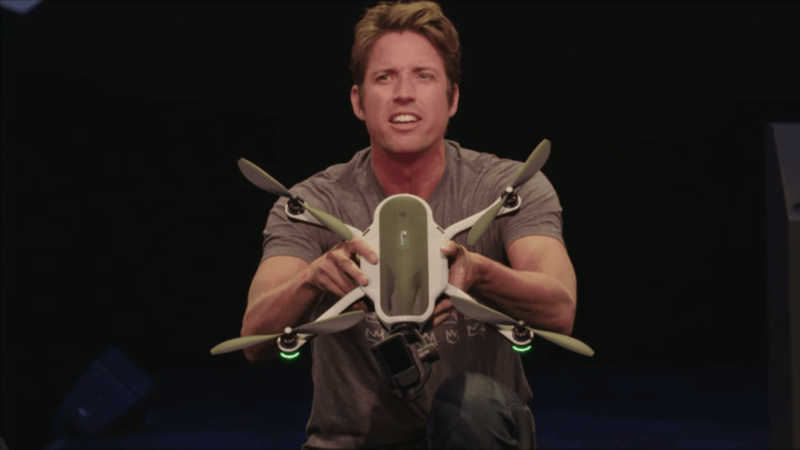 GoPro Karma held by CEO Nick Woodman at the launch event in 2016. 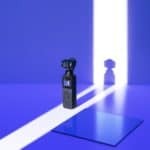 The GoPro Karma was launched as an affordable but basic drone, targeted at customers of the already popular Hero/Session action-cameras, but consumers were disappointed that features to aid the pilot during flight were excluded from the design. 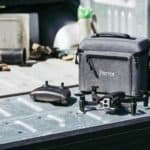 In competition with the Karma is the equally portable DJI Mavic Pro which is equipped with visual and ultrasonic sensing to help prevent impact and collision, even if the pilot loses control or attempts to fly the aircraft towards objects such as buildings and people. In our comparison between the GoPro Karma and the DJI Mavic Pro, the Karma lost points due to its lack of intelligent sensing. 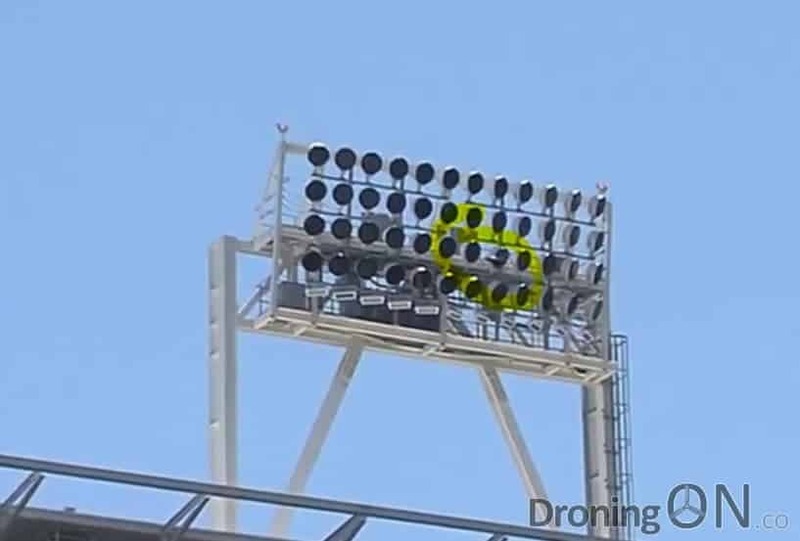 The GoPro Karma drone is initially spotted hovering around at a fairly high altitude, above the stadium in San Diego. The GoPro Karma drone is initially spotted hovering around the stadium at fairly high altitude. 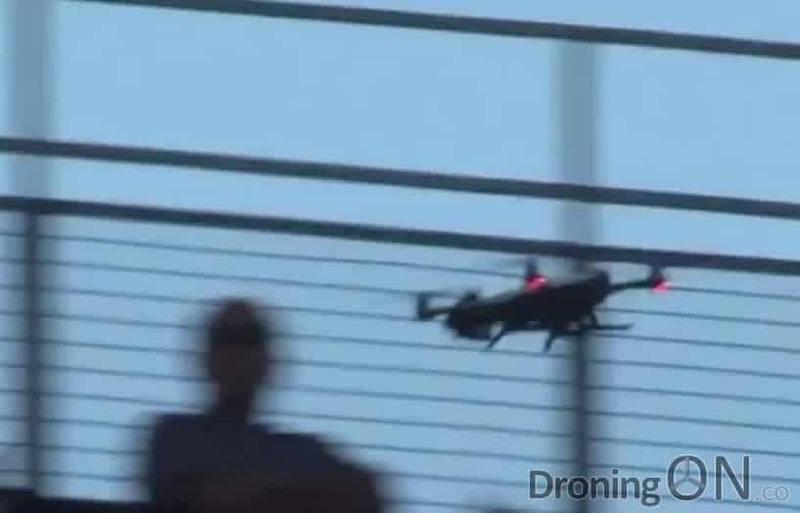 The drone then ascends upwards towards the flood-lighting, potentially the pilot attempting to escape the stadium having realised that he has been spotted. The GoPro Karma then ascends up towards the flood-lighting and score board. Before then rapidly descending and heading towards the spectators area, flying upright, at speed and directly towards the crowd. Before then descending and heading towards the viewing spectators area. 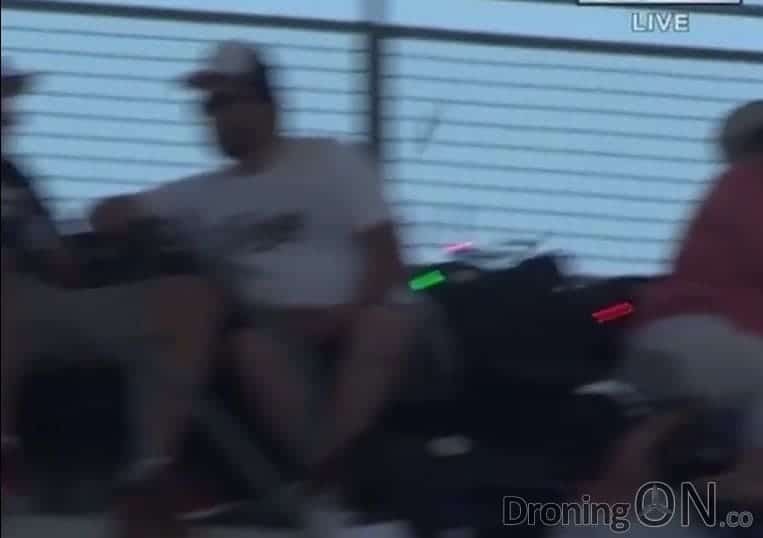 The drone narrowly avoids specators by crashing into the space between two people sat at the back of the stands. And narrowly avoiding specators by crashing into the space between two people. Broken props and drone parts can be seen flying from the crash, it is not clear whether anybody was injured by the flying debris. Broken props and parts can be seen flying from the crash, fortunately not injuring anyone. The doomed Karma drone appears to have attracted anything but positive karma since its launch last year, where Karma was recalled shortly after multiple reports of unexpected crashing, caused by a battery design fault. 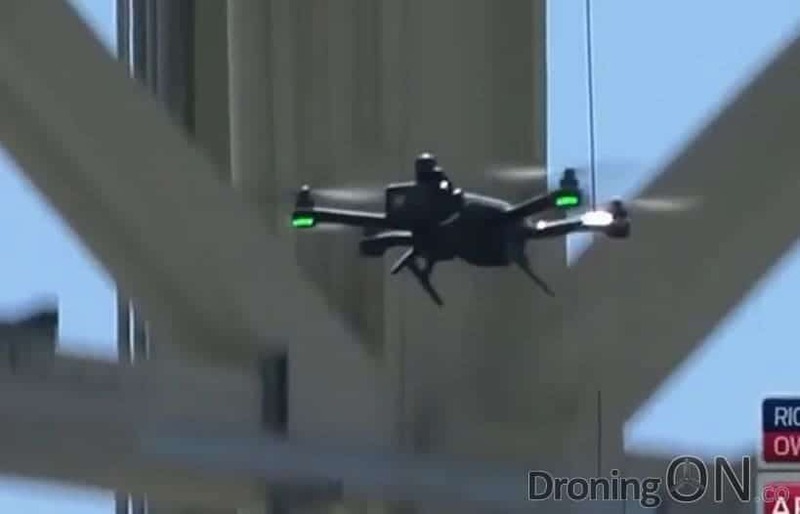 The drone was relaunched six months later with minor redesign but still lacking pilot aids such as obstacle avoidance sensors. GoPro has not yet commented on the incident, nor has the pilot been named or found it seems. 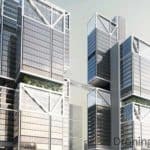 We will update this article with the latest news as we receive it. The full video of the crash was shared on Instagram by the ‘SportsCenter’ channel, the video is already approaching 1m views. 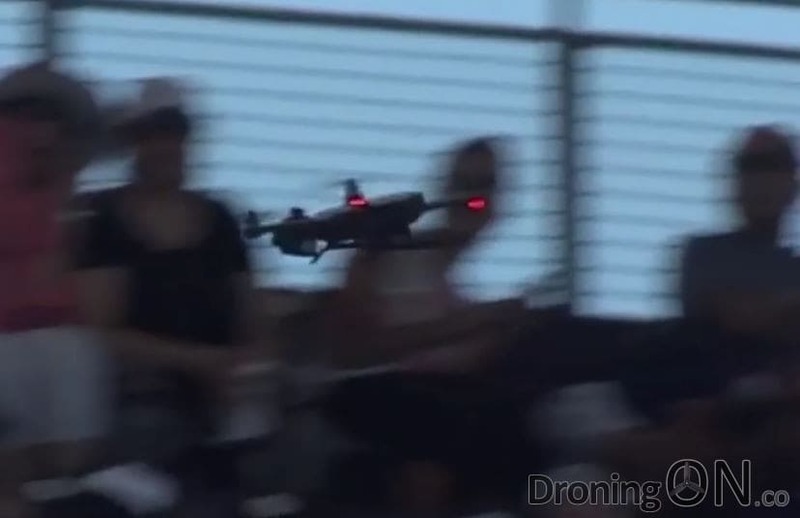 It's not every day you see a drone crash into the seats at an MLB game. Be sure to COMMENT BELOW, and to join the DroningON Discussion Group for the latest news, reviews and exclusives. 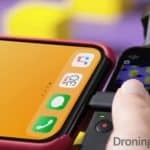 Previous PostFAA Embarrassed By Reversal Of Drone Registration PolicyNext PostDJI Spark Officially Announced, The Ultimate Selfie-Drone?